ACHeck21 is a provider of robust, cloud-based FinTech, including applications for ACH, Check 21, and remote deposit capture. Since 2002, ACHeck21’s technology has been making transaction processing quick, simple, and accessible. 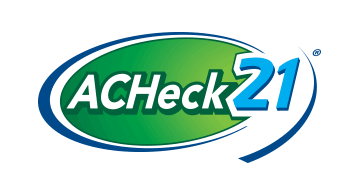 ACHeck21 helps our customers facilitate the movement of money between people, businesses, and banks. With our FinTech API, you can build software to provide payment functionality directly to your customers. ACHeck21 also offers check imaging remittance systems which convert paper checks to electronic transactions and update bookkeeping systems. ACHeck21 helps manage payment complexities for you. You can bring your own bank, or bank with us.